This chapter is aimed at helping researchers study the ways in which communities and individuals perceive their own ethnic identity under the conditions of cosmopolitanism, transnationalism and mobility. Such analysis, the chapter argues, can be successfully conducted within three main contexts: in the era of constant movement around the globe, the ethnic mobilizes and expresses its multiidentical, situational, and contextual nature. Thoughts are shared on the necessity of finding a precise scholarly lexicon and suitable combined approach to ethnic phenomena today. 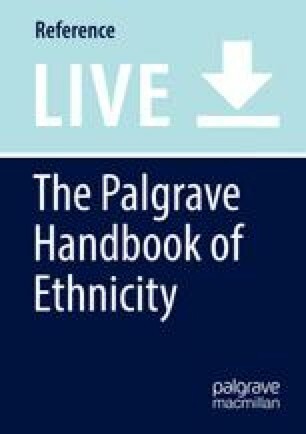 The term ethnic as a scholarly construct is suggested to combine the contents of both ethnos and ethnicity and to denominate the past and present specifics and processes of ethnic identity phenomenon. Also suggested is the use of ethno-symbolism to order and sort out, trace the dynamics, and reveal the malleable position of different identity components. Discussed are some specifics of the ethnic symbols, along with their classification and role at the ethnic/national level. Finally, some ideas are provided about the scale and order of the cultural symbols and their development in the recent global situation.